October marks the launch of a new fuel labelling initiative to help reduce confusion at the filling stations. Selecting the right fuel for a fleet can be confusing. This guide helps Fleet Managers make the best choice. Chevin continues on its path of global expansion with new EMEA partnership. Chevin expands with the addition of four new global team members. Chevin has unveiled a brand-new global consultancy service, further optimising its fleet management offering. Significant time and resource is being invested into the development of our 'Workshop Hub', which is set to launch in early 2019. Chevin is poised to implement FleetWave at Derbyshire County Council. It’s that time of year again, and The CV Show is in full swing ... but there’s still plenty of time to get involved! Chevin launches fleet management software designed for SME fleet operators. Chevin welcomes five new team members to its family. Our brand new mobile app, FleetWave Forms, has officially launched. We are thrilled to welcome four new team members to the Chevin family. It has been another fantastic year for Chevin, and our business is showing no sign of slowing down. The 2017 Budget should have removed any scepticism over whether the future of transport will be autonomous. A number of mobility functions have seen a big increase in demand over the past 12-months. FleetWave's updated, ultra-modern user interface has now launched. It’s that time of year again, and day one of Fleet Management Live has come to an end. But fear not, there’s still plenty of time to get involved. During our 2017 financial year, we have realised 21% global business growth, achieving continued YoY success. Chevin is delighted to announce its sponsorship of Thomas Roe who has been selected to play for England in the forthcoming indoor cricket World Cup in Dubai. Chevin has launched a brand-new API tool for FleetWave, in response to emerging technologies and user-demand. Thomas Roe, a local cricket star who was sponsored by Chevin, was part of England’s indoor cricket team who brought home its first ever trophy from a tournament held in Dubai. Fleet software needs to be ready to respond to new technological advancements, says Chevin. 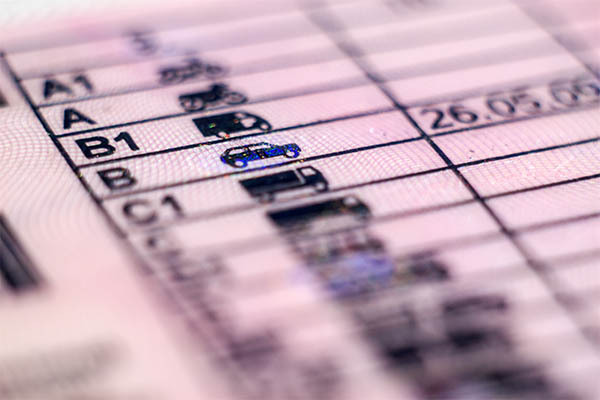 The Driving & Vehicle Standards Agency (DVSA) is set to use our FleetWave software in support of its ‘Earned Recognition’ pilot scheme. Fleets can help improve management of accidents with evidence-led projections about fleet risks. We are delighted to welcome four new staff members to join our team in the UK! Want to know more? Read the full press release here. With our business growth showing no indication of slowing, several new team members have been recruited to support our local and global operations. We’re pleased to announce that we are the official driver licence checking partner for the Fleet Show 2017 test driving experience. Our new Events Engine tool allows you to rapidly design and automate FleetWave messages sent to workers. Chevin managing director Ashley Sowerby provides his comment on Spring 2017's budget statement. Fleet compliance and admin control will take centre stage at Chevin's CV Show stand (4D120, Hall 4). David Gladding has been appointed to the newly-created position. We are pleased to announce a partnership agreement with Pioneers IT & Business Consulting, whereby Pioneer will become a distributor of our software across the Middle East. Management of so-called 'big data' could help fleets streamline processes, improve efficiency and reduce expenditure. It is with great pleasure that we sign off on our most successful year ever. Our website has been completely redeveloped with a fresh and modern look - and we're inviting visitors to have a look around the site. We are pleased to announce the recruitment and promotion of several staff members to help meet Chevin's continued global growth requirements. Chevin managing director Ashley Sowerby provides some thoughts on 2016's Autumn Statement. Chevin directors from across the globe gather for the company's annual organisational strategy meeting. The figure represents a new record, with an increase of some 200,000 vehicles and assets being managed using Chevin's software over the past two years. Managing director Ashley Sowerby and product manager Stephen de Launay take to the stage in a debate on the future of fleet management, at Fleet Management Live. Chevin Fleet Solutions is delighted to confirm that it achieved record revenue results during its 2016 financial year. We are pleased to announce that we have become an Associate of the Fleet Operator Recognition Scheme (FORS). HMRC is to explore closing a loophole in the company car benefit in kind system that means hybrids and genuine zero emissions vehicles often end up in the same tax bandings. Public sector fleets are increasingly turning to software to help them maximise value from their vehicles, plant and other assets. Central Hudson achieves annualised savings of approximately $500,000 per year as a result of using Chevin's fleet management software. Amjad Razak has been recruited by Chevin as its new Support Team Leader, as part of a continued drive to ensure widespread customer satisfaction.